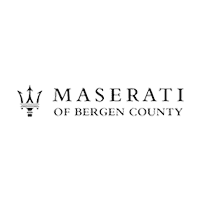 I purchased my vehicle in December and had a top notch experience at Bergen County Maserati! Charlie Gossner in Finance, Glen in Parts and Ted and Suzan in Service provided me an exceptional customer experience. Highly recommended! This is probably the best luxury car dealership in the area when it comes to service and courtesy. The service is always done in a timely manner. Appointment is easy to get. Walk-ins are always welcome. You actually get to speak to the service manager unlike other dealerships in the area. They have a free pick-up and drop off service. I have had my car picked up at my house for service and dropped off at completion of service. At other dealerships, for tire replacement (the usual NJ pot hole damage etc), I always used to wait more than 2 hours but not here. Usually less than 1 hour. If you are getting a Maserati, try this dealership for sure. First I am not in anyway tide to any dealership. I truly hate them in general (especially mass brands) but... i live in Queens, NY, and will only go to this location. Why? Yes at one point i had problems with some sales persons there and in Manhattan when i bought my car.But ...it s a new ownership,... no more bs, they don t try to add things to your bill or over charge you and take you for an imbecile.I now have good relationship with service especially. Suzan really takes care of people, and even helped me for roadside assistance after hours one time. She goes a step further everyone.She s one of the main reason I keep going back. José, the head mechanic will tell me in advance what needs to be done and helped me few times to avoid useless expenses. My car never had problems beside from wear and tear. They re what I wanted.. an homnest relationship, between the garage and customers. The day one of them is gone. I ll have to go somewhere else! So hope the dealership takes care of them. They work hard to keepus satisfy and coming back. This is not the typical dealership where they hustle to get you to buy a car (like manhattan volvo or ray catena...i ve tried them all and always went back to Bergen county.The only time i ll go to New Jersey. Hopefully this relationship will keep growing so I can get a Ferrari there next time! Bought a used vehicle here. Damion Lawrence, sales rep, was a pleasure to work with. Bob Chakamian (General Manager) and Charlie Gossner (Finance Director) were also friendly and helpful. The price negotiation was challenging at times, they use some "traditional" tactics that I thought were somewhat inappropriate for a high-end dealership (hence 4 stars instead of 5), but we got through it and eventually agreed on a price. The car was in the showroom, requiring a lot of effort to get out, so they insisted that we agree on a price before taking the car out for a test drive, which I thought was odd. Certainly Damion did everything he could to put a deal together, and always treated me with respect. They fully cooperated with a pre-purchase inspection that I requested from another local dealer, and did everything that they promised, so I have no problem recommending this dealership and Damion, Bob and Charlie. Be sure to ask about fees before you agree to a price, some of their fees seemed excessive to me. But overall, I'm delighted with the car and everything went smoothly once we got past the price negotiation. We love the Maserati it is a beautiful car, it makes me feel good !!! Thanks to Damion for the excellent customer service very personal and caring! !I totally recommend!!! I would like to be the first to introduce you to Maserati of Bergen County. At Maserati of Bergen County, we strive for perfection in all we do – each and every guest will be treated like a celebrity and extended our red carpet treatment from the moment you arrive at our state of the art sales and service facility. I look forward to helping you with all of your automotive needs. Whether you’re pursuing a purchase or lease of a new or used Maserati, our vast inventory unites uncompromising quality with grandeur and instant success. Our model selection includes a wide array of Maserati Cars & SUVs which include the Levante, Ghibili, GranTurismo and Quattroporte. From new, used and certified pre owned models, our dealership has a Maserati that’s perfect for you. We have the largest service loaner car inventory in the industry, guaranteeing you a loaner vehicle while your Maserati is pampered in our state of the art service facility. Feel free to pamper your Maserati in our auto salon which will guarantee you instant celebrity status amongst your peers. We invite you to Maserati of Bergen County to experience first hand our white glove, red carpet customer service and the finest luxury cars ever built. You are our celebrity at Celebrity Motor Cars.